PHC partners with Picopoint Solutions for future wireless implementations. PHC networks is using the location based services with the Gatekeeper portal. 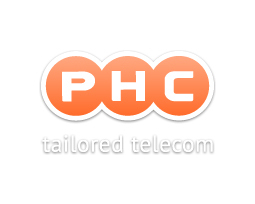 PHC supplies the business market with telecommunication solutions, and belongs to the top telecom advisors of the Netherlands. Case Integration of the PHC wireless network solutions with the Gatekeeper platform. Objective Become part of the standard offering of PHC’s wireless network offering. Result Today PHC implements it’s wireless solutions using the Gatekeeper platform as standard for the offering of branded guest access, marketing analytics & interaction over wireless networks.